As one of the nation’s largest oncology, cardiology and gastroenterology clinical research programs with nearly 500 physicians in the United States and United Kingdom, the Sarah Cannon Research Institute (SCRI) focuses on advancing therapies and accelerating drug development for patients through clinical research. 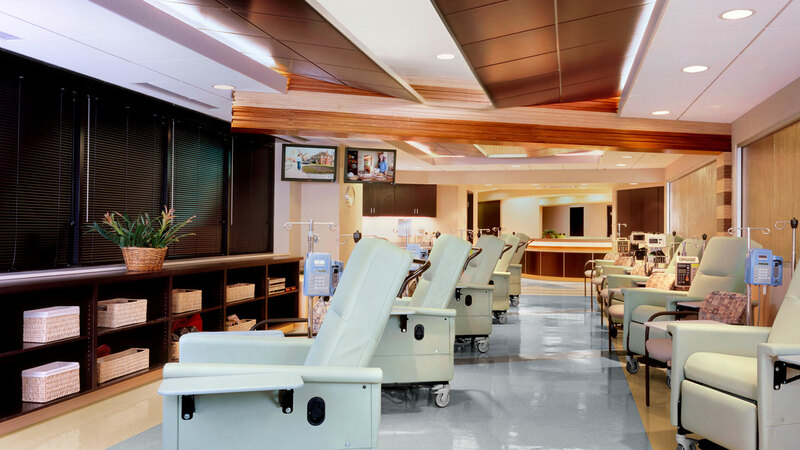 The design model was to create a sleek, state-of-the-art environment that offered patients a high level of comfort and confidence during their extended stays. 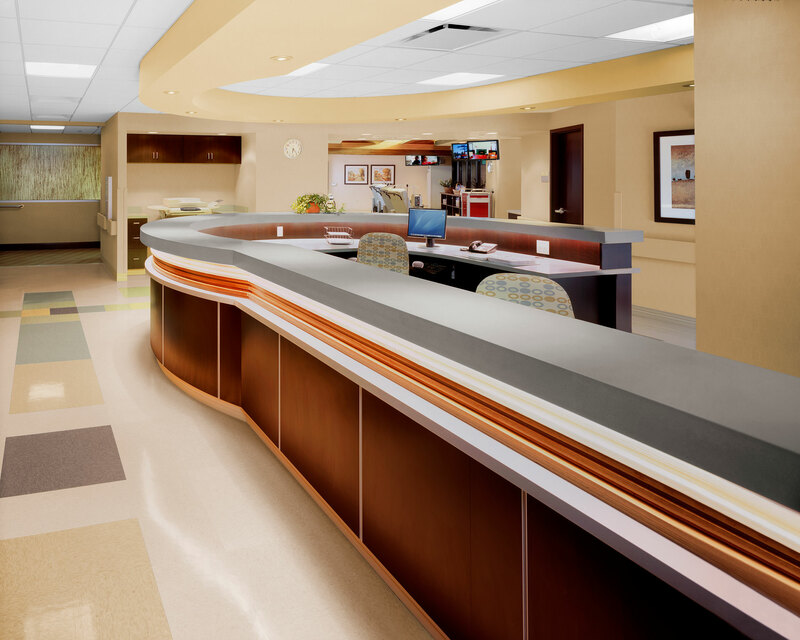 Innovative design techniques, such as a stacked plywood wallcovering, were used to create high visual interest and helped make SCRI a highly memorable advanced cancer facility with the pharmaceutical industry and drug development representatives. 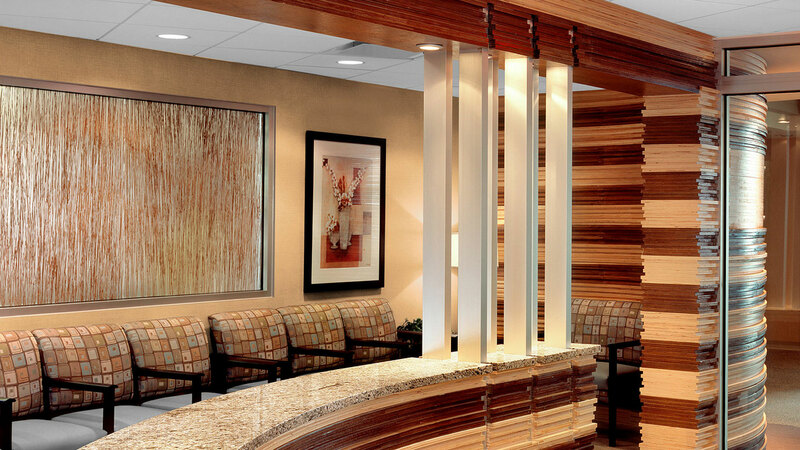 The lobby, corridor and infusion room walls are covered with stacked maple and Russian birch core veneer plywood to create a warm, relaxing environment. 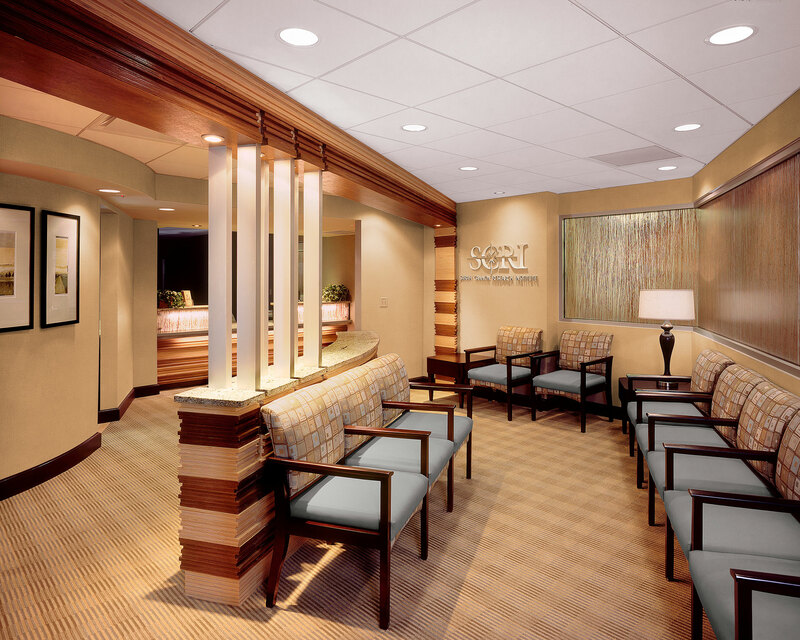 Throughout the lobby, offices, infusion area and exam rooms, a comfortable, cutting-edge look was carried out with the consistent use of multi-tonal woods and a soft blue color palette.